A few months ago, the library subscribed to EBSCO e-books. You can search for them here, or in the library catalog, or if you do a Summon search and one of these more than 157,000 books has content connected to your search term, Summon will lead you to the book. Below is a screenshot of what you’ll see, showing red boxes around some key things. Scroll down to read a brief description of the book, see how many users can view the book at a time (most have “unlimited user access”), and see other information about the book. To read the book page by page online on the EBSCO platform, choose the “PDF full text” icon in the left menu. 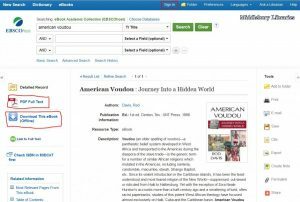 To download it to read offline, or to retain it in a folder after you close your browsing session, you need to create your own personal account on EBSCOhost. To do that, click the “Sign In” link on the top bar, and create your account. (It is best practice to not use the same username or password that you use for Middlebury logins.) Once you have created an account and logged in, you can download an EBSCO e-book for up to seven days. 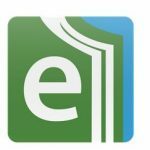 There are EBSCO e-book apps for Android in the Google Play Store and for iPhone in iTunes. You need to create a personal EBSCOhost account as described above (on a laptop or desktop) to use for the app. This entry was posted in ebooks, Library and tagged ebooks, How-To, Library Spotlight on April 13, 2017 by Arabella Holzapfel. Has an ebook disappeared on you? Looking for an ebook you used recently but that seems to have vanished? Let us know right away; we can probably get it back. 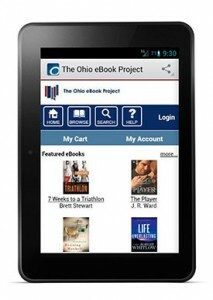 Our major ebook program is undergoing some changes due to soaring costs and increasing publisher restrictions on usage. A large number of titles will disappear from our catalog this week. The process is designed to leave available anything that’s been used recently, but because of behind-the-scenes technical work, there’s a lag between the vendor’s most recent usage reports and the actual catalog-record deletion. As a result, you may have used a title in the last two weeks and now can’t find it again. Just ask us to recover it, and if our supplier still has it available, we will! We also added a new collection recently, with more than 140,000 ebooks from EBSCO. Check it out! This entry was posted in Library, Library News, libspotlight, lisblog, Middlebury Community Interest, middpoints, Post for MiddNotes, Post for MiddPoints and tagged EBL, ebooks, library collections, Library Spotlight on October 11, 2016 by Douglas Black. Has an ebook gone missing? Noticed that an ebook you’ve previously seen no longer appears available? There are several possible reasons, but the most likely one right now is that it was removed from our collection because of its cost. The library has many sources for ebooks, and the largest one is a company called Ebook Library (EBL). We have some 200,000 EBL records in our catalog, of which we own only .6%. The rest are there for access as needed, and we don’t pay for them until they’re actually used. 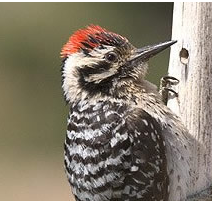 This is a recently developed program called Demand-Driven Acquisitions (DDA). A vastly oversimplified description is that for the first four uses, the library pays a percentage of the full purchase price, and the fifth use triggers an automatic purchase. DDA lets us offer a tremendous range of ebooks at a small fraction of the full purchase price. Over the last four years, we’ve paid less than $500,000 for access to more than $8 million worth of books. However, in the last two years, many publishers have decided they weren’t making enough money, so they dramatically hiked their fees for those first four uses, which has sent our library’s costs skyrocketing. We’ve shifted some funds from print purchasing to cover the additional ebook costs, but the only way to moderate expenditures for the longer term is to remove the most expensive titles, along with titles from the most expensive publishers. What to do? If you’re not finding something you’d previously seen, or if you come across a catalog link that doesn’t work (removing the catalog records tends to lag behind the actual ebook access), email us right away, and we might be able to get it back. If we can’t, we’ll work on finding another way to lay hands on the material for you. This entry was posted in Library, Library News, libspotlight and tagged ebooks, Library Spotlight, research on March 20, 2016 by Douglas Black. This entry was posted in LIS Staff Interest and tagged ebooks, library collections, Library Spotlight on November 27, 2012 by Rebekah Irwin. New versions of OverDrive app for Android and iOS (iPhone/ iPad/ iPod touch). What’s Overdrive? It’s Middlebury’s ebook and audiobook collection of prize-winning fiction, non-fiction, and popular reading…(go/Overdrive). This entry was posted in LIS Staff Interest, Post for MiddNotes and tagged ebooks, Library Spotlight on November 5, 2012 by Rebekah Irwin. Middlebury students, faculty, and staff can “check-out” from the Library eBooks for Kindles (or the Kindle app), Nooks, or other eReaders and audiobooks for your iPod (or any other mp3 player). Visit our eBook & AudioBook Home, or visit go/bookstogo (go.middlebury.edu/bookstogo). You can also download a special app for your Mobile device (Android, Blackberry, iPhone/iPad, etc.) and check-out eBooks and audiobooks directly. Download the right mobile app here. From the app, search for “Middlebury College” when you’re asked to Add a Library. These eBook and audiobooks are available with support from an ACE/Alfred E. Sloan Faculty Career Flexibility Award to promote Work/Life Balance at the College. So download a book, and then relax, or take a walk, go for a run, cook a meal, or take a very long drive, all with a book playing in the background. This entry was posted in LIS Staff Interest, Middlebury Community Interest, Post for MiddNotes, Post for MiddPoints and tagged ebooks, Library Spotlight on June 20, 2012 by Rebekah Irwin.